A fall, car accident, paralyzing disease or long-term illness could leave you weak making it difficult to perform simple, everyday activities you once took for granted. 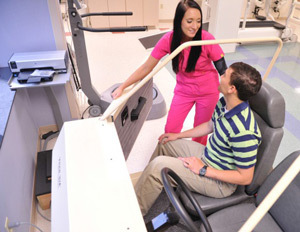 The goal of Pikeville Medical Center’s (PMC) Inpatient Physical Rehabilitation Hospital is to get you back home or back to work as soon as possible following an illness or accident. For patients needing intensive rehabilitation, PMC offers a full range of services. 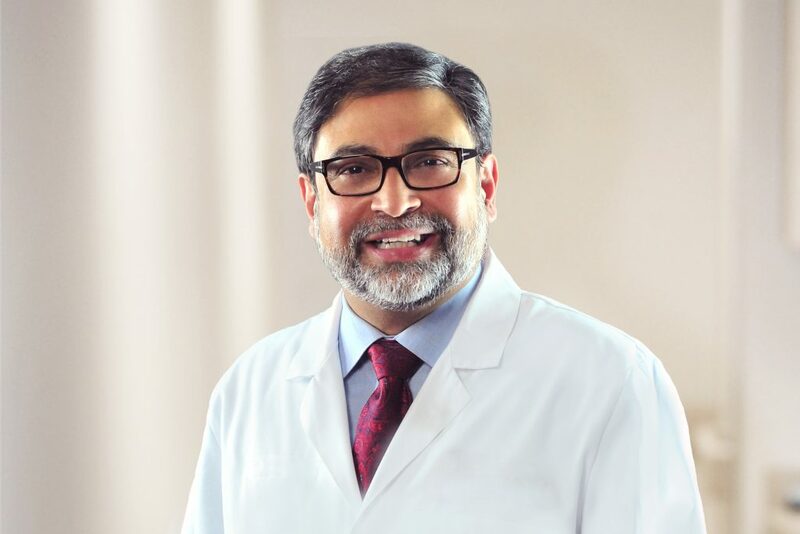 Our physician led team works with the patients, their families and/or caregivers to design and execute a carefully monitored treatment plan that meets each individual patient’s needs. This family/caregiver involvement is very important to the treatment team as they provide much needed continuing support and information critical to the patient’s ongoing care. The team working with physicians includes, physical, occupational and speech therapists, rehabilitation nurses, case managers, social workers, dietitians and other professionals. 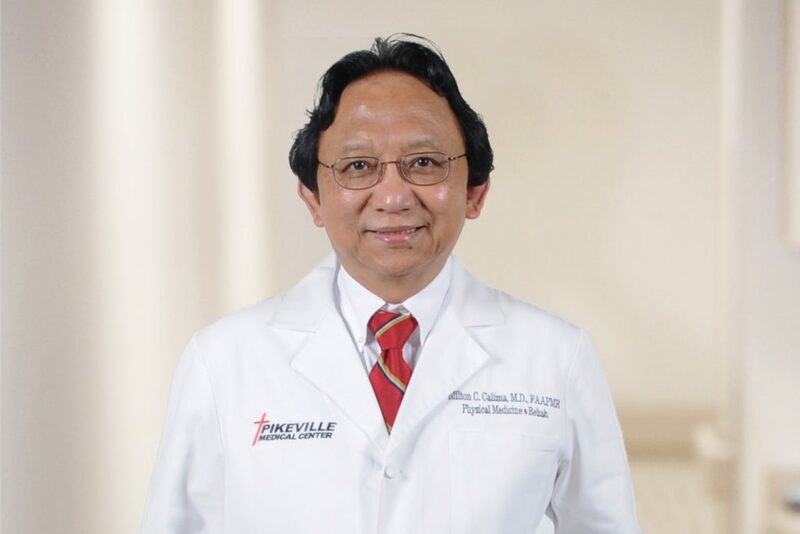 Our goal is to return our patients to the community and assist them in resuming their normal day-to-day activities as much as possible, as soon as their treatment plan and progress allows. Patients wear comfortable clothing, eat in the patient dining area and participate in at least three hours of therapy Monday through Friday, and half a day on Saturday. Our patients are encouraged to do as much as as they can for themselves to regain their independence. Occupational Therapists (OTs) help patients improve their ability to perform tasks in their daily living and working environments. They work with individuals who have conditions that are mentally, physically, developmentally or emotionally disabling. They also help them develop, recover or maintain work or leisure skills and activities of daily living, such as bathing, grooming, toileting, dressing, feeding and tub/shower transfers. 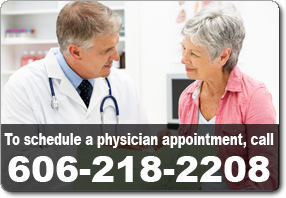 Their goal is to help patients have independent, productive and satisfying lives. 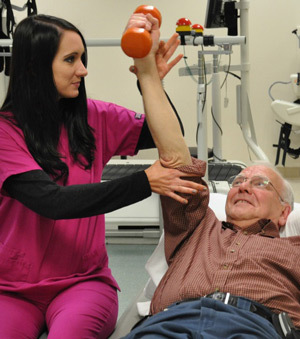 Physical Therapists (PTs) provide services that help restore function, improve ambulation, increase strength and range of motion, relieve pain, and prevent or limit permanent physical disabilities of patients suffering from injuries or disease. They restore, maintain and promote overall fitness and health. Therapists examine patients’ medical histories, then test and measure their strength, range of motion, balance, coordination, posture, muscle performance, respiration and motor function. Physical therapy develops treatment plans that utilize exercises, various exercise equipment, pools, ultrasound, electricity, traction, heat, ice, braces, etc. These services have been provided at the hospital since 1973. PTs treat patients of all ages with neurological and musculoskeletal conditions. Speech Language Pathologists are individuals who specialize in the diagnosis and treatment of disorders of speech, language, fluency, voice and swallowing. These professionals design and implement therapeutic programs to enhance communication and cognitive skills of patients suffering from strokes, traumatic brain injuries or other neurological impairments. Speech language pathologists evaluate swallowing difficulties and develop programs to deal with those problems. 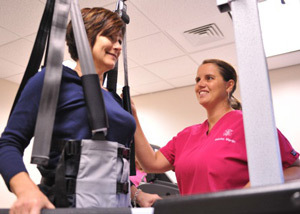 PMC’s Physical Rehabilitation Hospital, located on the 10th floor of the May Tower, is a comprehensive inpatient rehabilitation program dedicated to helping patients who are disabled by disease or injury. A team of multi-disciplinary rehabilitation specialists help patients achieve their greatest functional level of independence possible based on their physical and mental abilities. This state-of-the-art facility contains over 23,000 square feet of space designated for exclusive rehabilitation use, including a dining hall, fully equipped kitchen and laundry facilities, “apartment” like room to practice real world living, large bathrooms with special shower seating in each room and a gymnasium for exercise. Patients benefit from a full spectrum of rehabilitative services dedicated to enabling them to regain the highest level of independence possible. Patients may need assistance in managing disorders associated with strokes, brain and spinal cord traumas, Multiple Sclerosis, Amyotrophic Lateral Sclerosis (ALS, also known as Lou Gehrig’s Disease), Parkinson’s Disease and other conditions. Typically, they have difficulty with functions such as walking, eating, memory, cognitive function, communicating and may have bowel and bladder problems and pain. 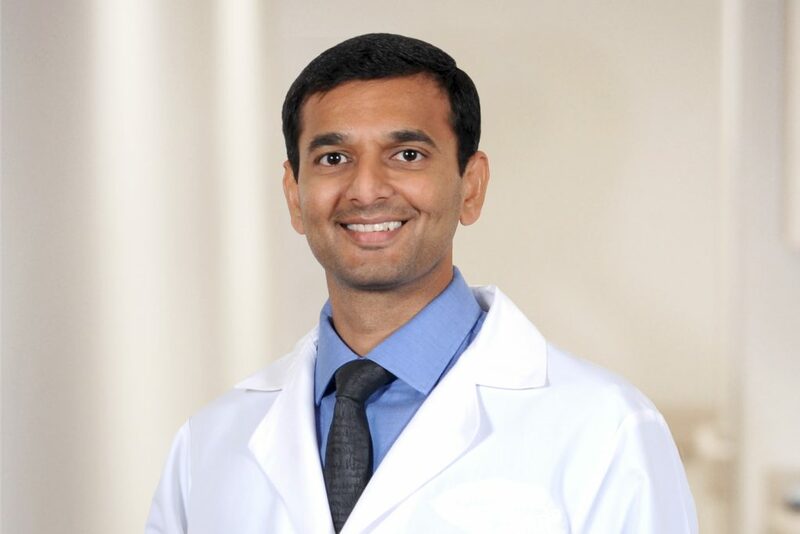 Patients receive treatment from a multi-disciplinary rehabilitation team under the direction of a board certified physician specializing in neurological conditions. Working as a team toward meeting the patient’s goals, the team consists of physical, occupational and speech therapists, rehabilitation nurses, case managers, social workers, dietitians and other committed professionals. Referrals may be made to the Physical Rehabilitation program by physicians, allied health professionals, discharge planners, family members or patients. When a referral is received, careful consideration is given to the patient’s current health status, previous level of function, plans for discharge and how much family/caregiver support is available to meet the patient’s rehabilitation goals.